An Alternative Medicine Center with over 300 herbs and supplements. The Center has several features which set it apart from most other alternative medicine facilities, including the Center’s unique Dispensary. 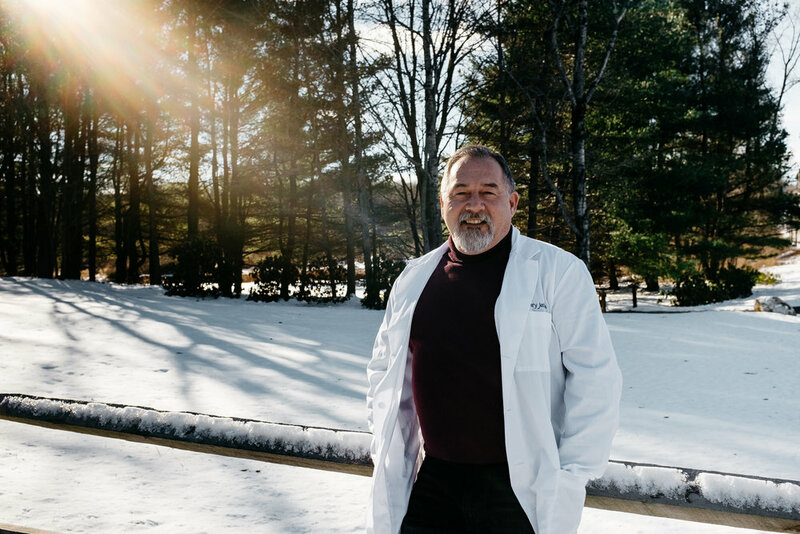 Stocked with over 300 herbs and supplements, the Dispensary’s wide range of natural remedies enables Dr. Jenkins to be the only doctor in Connecticut who provides custom herbal formulations for his patients. In our drug testing facility, we can provide on-site testing for drugs of abuse with immediate result reporting. Same-day appointments are available. Dr. Jenkins is also one of the few doctors in the state who has already undergone the federally-mandated training which will be necessary for all Department of Transportation Medical Examiners by 2014. Medical examinations for your Commercial Drivers License will take only 25 minutes, and Dr. Jenkins will provide you with all necessary paperwork. The Center also provides both mental health services and massage therapy services through independent providers located here. David Pavlick, LICSW, provides both talk therapy and neurofeedback using state-of-the-art equipment, while Christine DeCarolis provides healing massage therapy and reiki at her studio located at the Center. Dr. Avery Jenkins, a primary care chiropractic physician, is one of only a handful of doctors who have been awarded board-certified status in the fields of both clinical nutrition and acupuncture. In practice for over two decades, Dr. Jenkins has served as the Director of Examinations for the Chiropractic Board of Clinical Nutrition , recognizing his clinical expertise in the field of nutrition and herbal therapy, and he is also a Fellow of the International Academy of Medical Acupuncturists. He graduated second in his class from the University of Bridgeport College of Chiropractic in 1995. Dr. Jenkins has published over 25 articles on alternative medicine. His work on clinical nutrition has been published by Nutrition Perspectives, a professional journal, and Dr. Jenkins’ original research was published in the Journal of the American Chiropractic Association. He has been a guest lecturer on multiple occasions for the New York Institute of Traditional Chinese Medicine, and has lectured at the annual conventions of the Connecticut Psychological Association and the Connecticut Society of Medical Assistants. Dr. Jenkins has also been the subject of biography in the second and third editions of Who’s Who in Medicine and Healthcare. A long-time student of the martial art of Aikido, Dr. Jenkins has received his shodan rank from the United States Aikido Federation. A cyclist for many years, Dr. Jenkins is also a certified cycling instructor, one of only 3,000 instructors certified by the League of American Bicyclists. Office Manager Giselle Nunez has been with the Center for several years. A graduate of the Ultimate Medical Academy in Clearwater, FL, Giselle manages the general operations of the practice, and is in charge of billing and scheduling. She is very familiar with all of the health insurers in this area, and can answer any of your questions about coverage. You can reach Giselle at 860-567-5727, ext. 12.